India is working on finalising the policy to set up new logistics plan in the country, commerce and industry minister Suresh Prabhu revealed on Friday. The plan is expected to boost government’s mission to come out with the most cost-effective method to transport goods till 2035. As India jumped 19 places in the Global Logistics Performance Index – from52 in 2014 to 35 in 2016, the policy may as well open-up several opportunities for tech-enabled startups in the sector to provide seamless movement of goods across the country. The new logistics division within the department of commerce is preparing the national integrated plan, with an aim to identify bottlenecks and gaps prevailing in the sector. The minister was speaking at the 5th annual edition of The Economic Times supply chain management summit in Delhi. “A proper supply chain which is efficiently managed is required for India since the country is poised to become a $5 Tn economy. 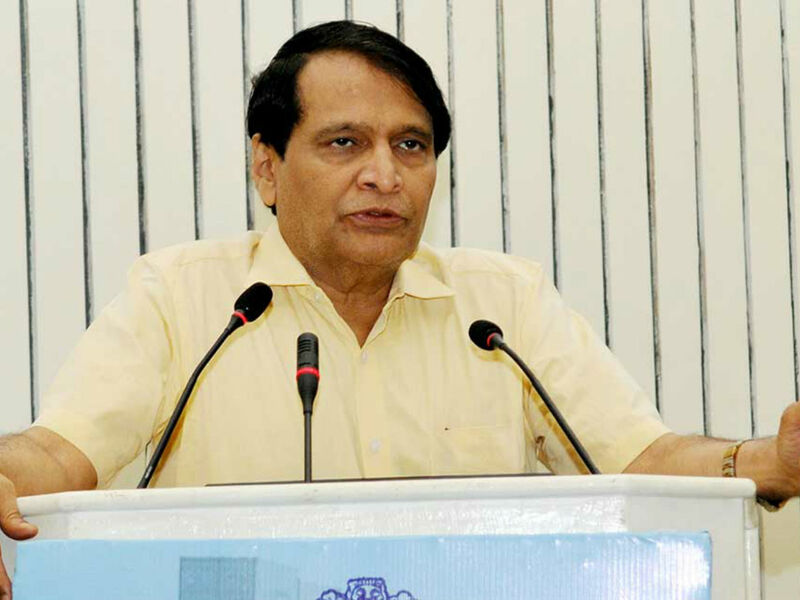 The government is already planning to put in place a common platform to ease the transportation of goods,” Prabhu said. Economic Survey 2017-18 suggests Indian logistics sector provides livelihood to over 22 Mn people. Improving the sector would thus facilitate a 10% decrease in indirect cost, leading to a growth of 5-8% in exports, it says. Niti Aayog in its website writes, the new division within the Commerce Department has been established to coordinate integrated development of the sector by way of policy changes, improvement in existing procedures, and the introduction of technology-based interventions. The commerce department set up this new logistics division in collaboration with central line ministries and state governments. With the rising on-demand sector, India’s logistics startups have gained their foothold after the onset of the ecommerce industry. There exists a huge scope for tech-enabled startups that could make exports procedures hassle-free from the redundant documentation, and thus to reduce delays in its delivery. Indian logistics startups have paved ways for heavy investment into the sector. As per Inc42 Datalabs funding report for H1 2017, in terms of the amount being invested, transport and logistics took the third and fourth spots, respectively, with $528 Mn and $271 Mn in funding. In total, the logistics startups received over $271 Mn funding across 18 deals in H1 2017. Indian logistics sector has the potential to become a$ 215 Bn market in next two years compared to about $160 Bn currently.